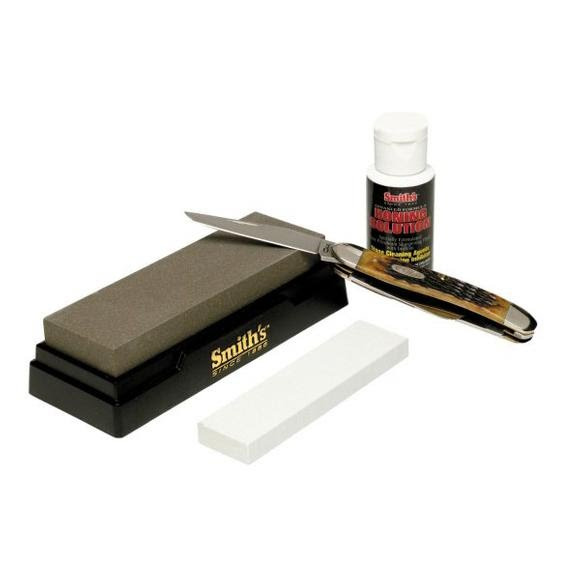 Set and hone edges quickly and easily with the quality 2 Stone Sharpening Kit from Smith's. Set and hone edges quickly and easily with the quality 2 Stone Sharpening Kit from Smith&apos;s .
Dimensions Medium: 5" x 1 5/8" x 3/8", Fine: 1" x 4" x 3/8"